British rapper MIA has always had stunning visuals in her music videos. Long, flowing robes and a kaleidoscopic piles of coloured fabric makes for an exploratory visual wonderland. Fitting, then, that her music is just as captivating, with an interesting mix of hip-hop and electronic vibes. Her 2016 album A.I.M was just brilliant, letting her shine from both an artist (I mean, artistic) and lyrical point of view. 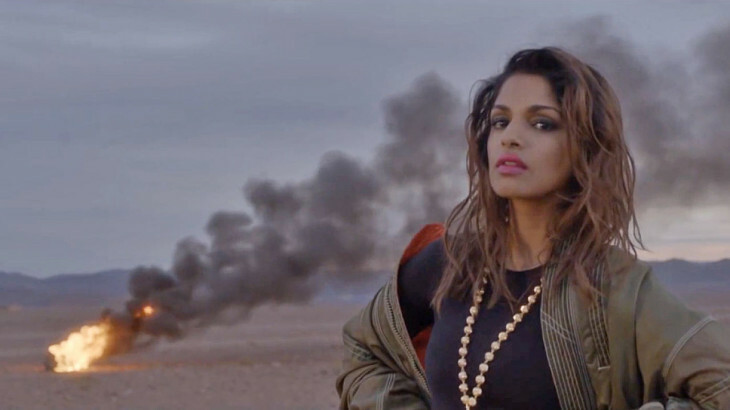 On her latest track, M.I.A has again shown why she’s one of the best artistic visionaries on the stage at the moment. P.O.W.A. is a statement, but not one that’s vocal heavy. The beat is a clutter of different sounds, and it makes up most of the sonic focus of the song. It doesn’t really allow much lyrical flexing from M.I.A., but that’s okay. Not every track needs to be read like a novel. The real star of the show is the video itself. The visuals are clean and interesting, and the lineup of men dancing is phenomenal. They act as a snake, bobbing and moving as a single unit rather than a collection of individuals. Combined with the landscapes M.I.A. is seen striding around, it’s a captivating sight. Check it out below, and go spin A.I.M. a few more times while you’re at it.